It was great to be able to return to the notorious Prescott Hill Climb event to round off the 2015/16 season. Not only were we able to talk to likeminded motorsport enthusiasts and showcase ULM011 in front of hundreds of people, but we were also given the opportunity to complete a handful of demo runs up the famous hill itself. We'd like to thank everyone at the event who helped put on a fantastic show, including all competitors, marshals and event organisers. We received outstanding hospitality, and hope to come back next year! 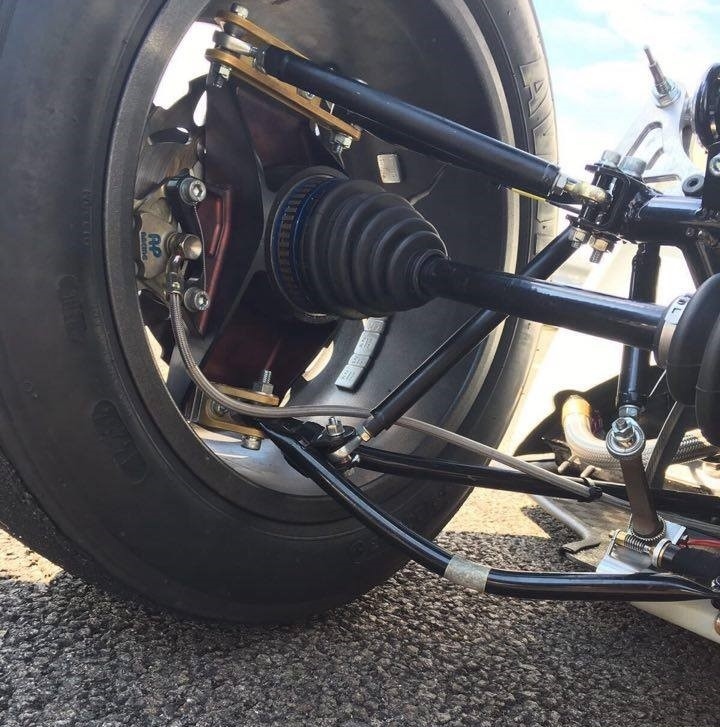 Following a successful FSUK competition event, the team immediately went to work to organise the first ULM011 test day, at the Bruntingthorpe Proving Ground karting circuit in preparation for Formula Student Germany. The aim was to give the drivers the necessary experience behind the wheel to build up confidence, optimize car setup and test for reliability issues. After numerous runs with all drivers having the opportunity to gain experience, the test day came to unfortunate end. The team quickly noticed that the rear left wishbone had buckled under loads. Even though it was disappointing to see such a crucial component fail on the car, the car did complete a large amount of laps. Work will now begin to re-design and re-manufacture a new set of wishbones in time for Formula Student Germany in a fortnight's time. 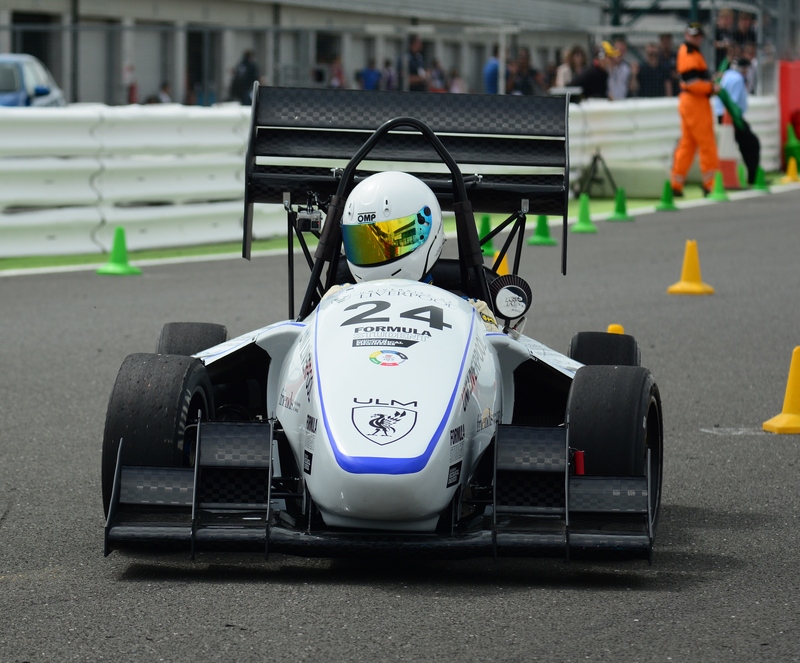 The Formula Student UK 2016 competition was once again held at the Silverstone Grand Prix circuit, where over a hundred international teams came to compete against one another for the ultimate prize. We arrived with high ambitions after a successful car build, and looked forward to the challenges that lay ahead. The competition is split into two main events; statics and dynamics. In the static event, we were challenged to present and justify the design, cost and business plan for the car. Historically, the team have always performed strongly in this event, and once we managed to repeat this with 9th, 18th and 23rd in the Business, Cost and Design events respectively. Once the static events were all completed, the team's focus quickly switched to passing scrutineering. All went well until the brake test, where the team suffered a front left wishbones failure. This year we had been developing unique all round Carbon Fibre wishbone arms, therefore it was a real disappointment to see them fail. The team kept their heads up though, and swiftly replaced them for the steel replacements. After successful re-scrutineering, we moved on to the dynamic events. This has previously been one of the team's weakness; as consistent reliability problems put a stop for potential strong finishes. This year however, things went very differently! The car proved to be fast and reliable, posting a finish of 17th overall in the endurance event. 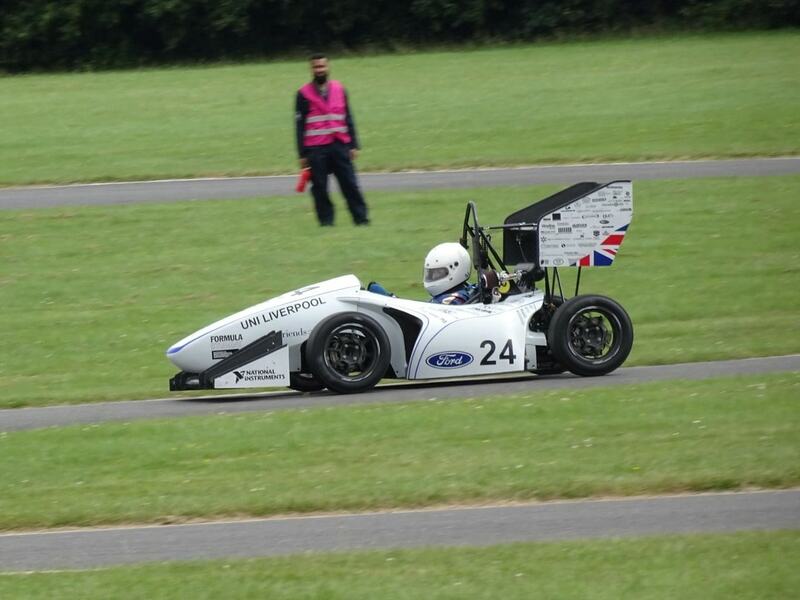 Overall, the Formula Student UK competition went very well for the team this year. We managed to achieve the University of Liverpool's best ever result at competition, finishing 15th overall and breaking into the top three amongst UK teams. 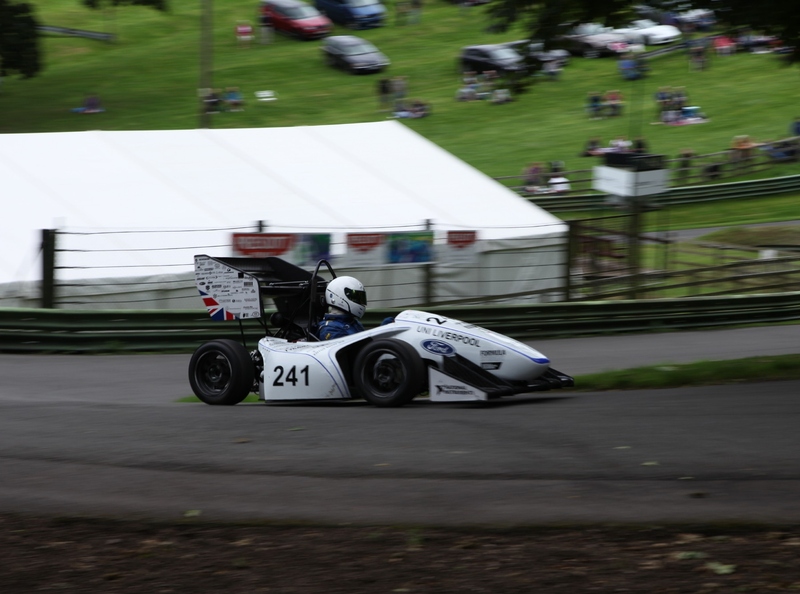 The team now look forward to once again compete in the Formula Student Germany event in three weeks' time. We wish to thank the IMechE for organising another fantastic year, as well as all our sponsors for their support. Without them, none of this would have been possible! 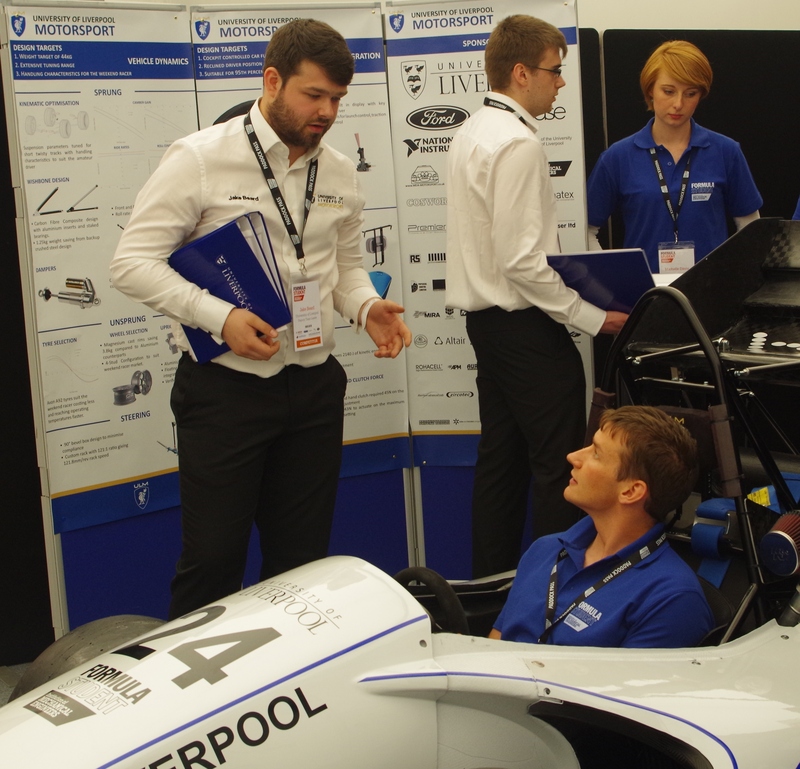 We would also like to thank the University of Liverpool Motorsport Alumni Team, for your continued guidance and support year on year. It is very much appreciated! Sylatech are a new sponsor for the team this year. We are extremely grateful for their support after they agreed to investment cast these components at such short notice. Precision Wax (link to precision wax site: precision-wax.com) provided some fantastic waxes which produced a great result for the cast parts. 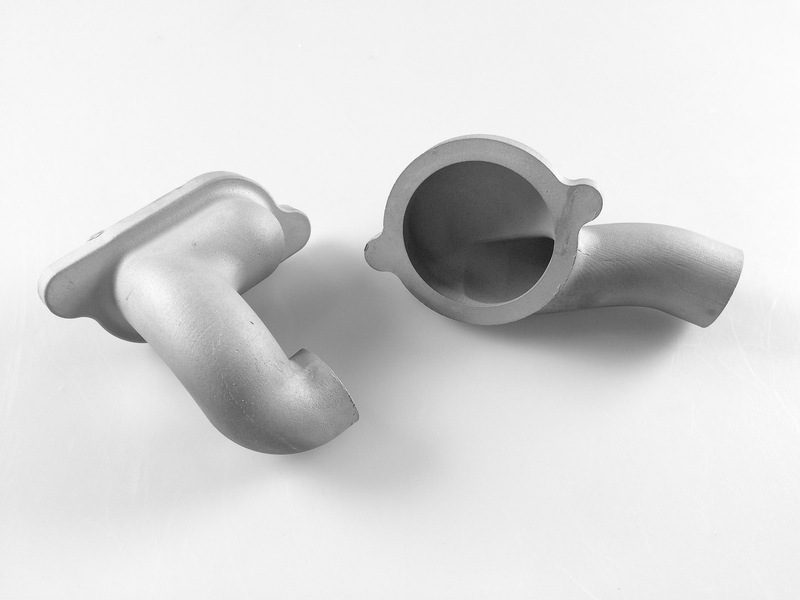 The casts are currently in the process of being machined and will soon be attached to the car. Thank you Sylatech! 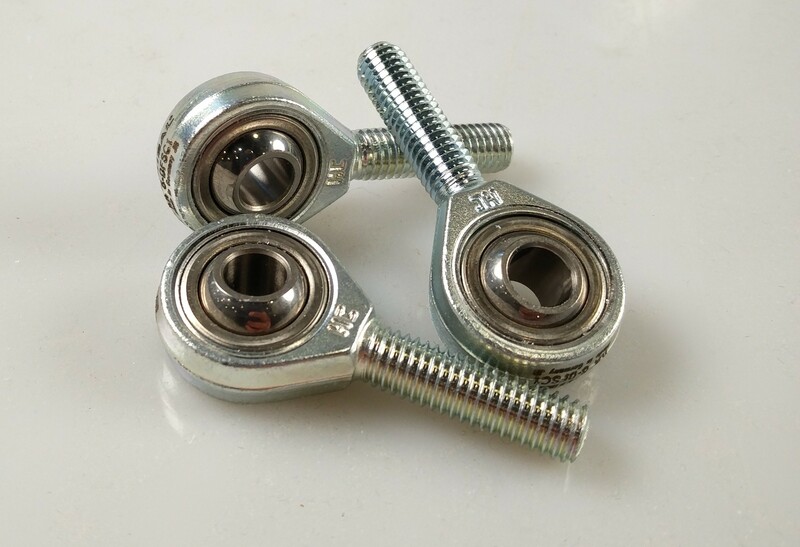 WDS Components – Wheely Good Stuff! For the second year WDS have generously provided components to the team. 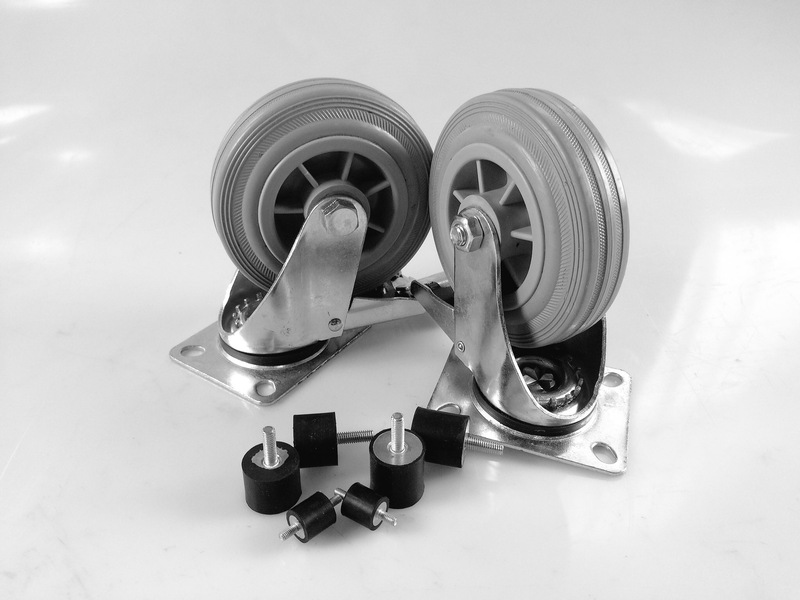 A new set of trestles and a pit cart have been designed this year and WDS have provided us with two sets of castors for these designs enabling the team to wheel our car and tools around. A huge thank you to WDS for their continued support. Many thanks to Premier Deep Hole Drilling for their continued support of our project. Once again they have provided us with gun drilled shafts, which are soon to become the drive shafts on this year’s car. 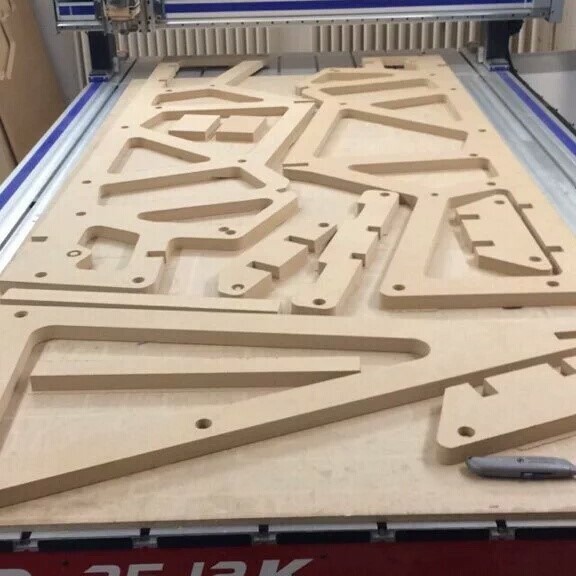 Our sponsor for two years now, Cirrus Laser Ltd have continued to provide our team with laser cut parts crucial to the success of our car. This batch contains some of the ribs and other components used in manufacturing the front wing from carbon fibre, along with other parts for the car. These parts play a crucial role in the car, as now we have them we can begin to assemble ULM011 ready for testing at the end of the month! Massive thanks to Cirrus Laser for the continued support! The team would like to throw a huge shout out to our long standing sponsors RS Components, who have stayed on board this year and have provided us with essential electronic connectors and equipment. 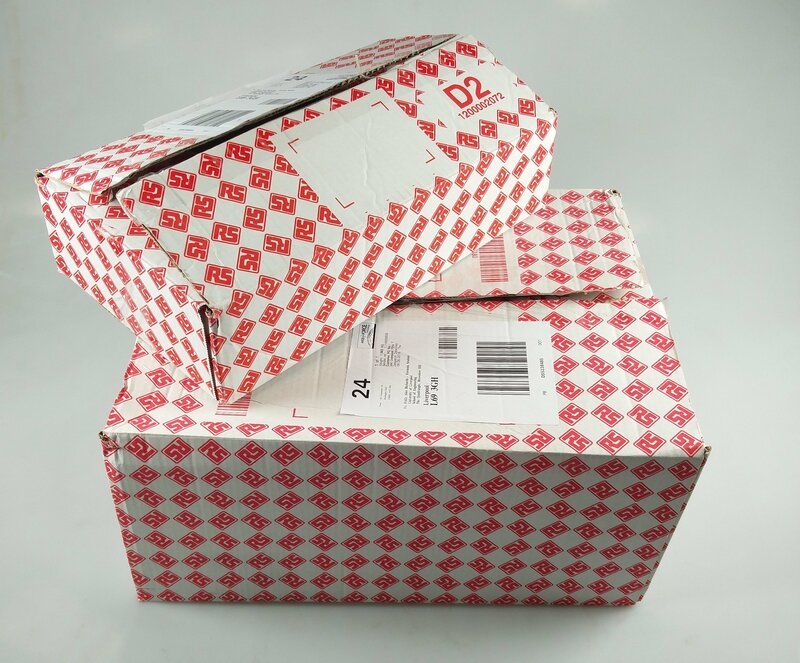 They have been a huge help this year especially with their super quick delivery time of less than 24hours! 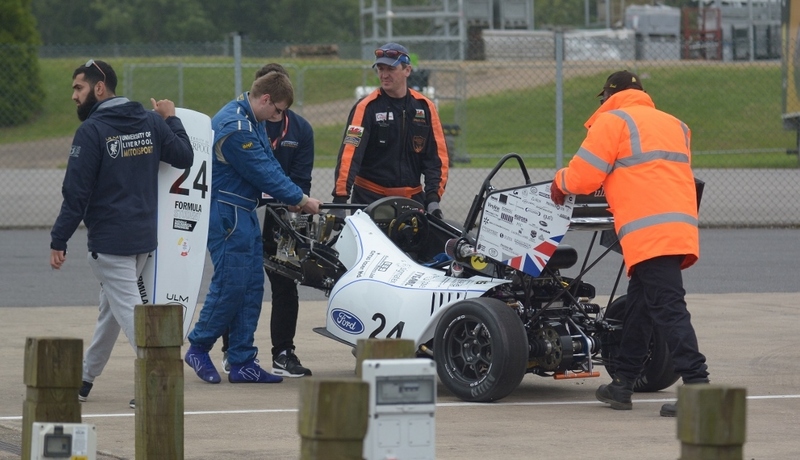 RS Components support many Formula Student teams throughout the country, so it’s safe to say they are a large part of the national success of the competition! 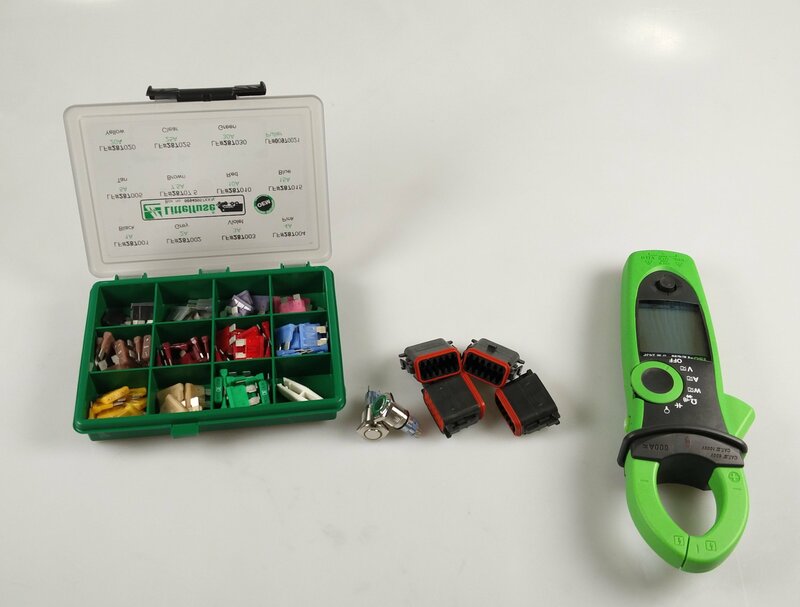 Go and check out their wide range of quality electronic and mechanical components. Harrison Rods, one of our longest standing sponsors who operate in the composites industry, providing quality fabrics and pre-pregs as well as specialist carbon fibre parts. They have been with the team since the beginning, helping ULM001 make it all the way to Silverstone, a full 11 years ago! They have returned this year to provide the team with carbon fibre tubes that have made the production of our aero-package possible. We thank you for your commitment Harrison Rods! 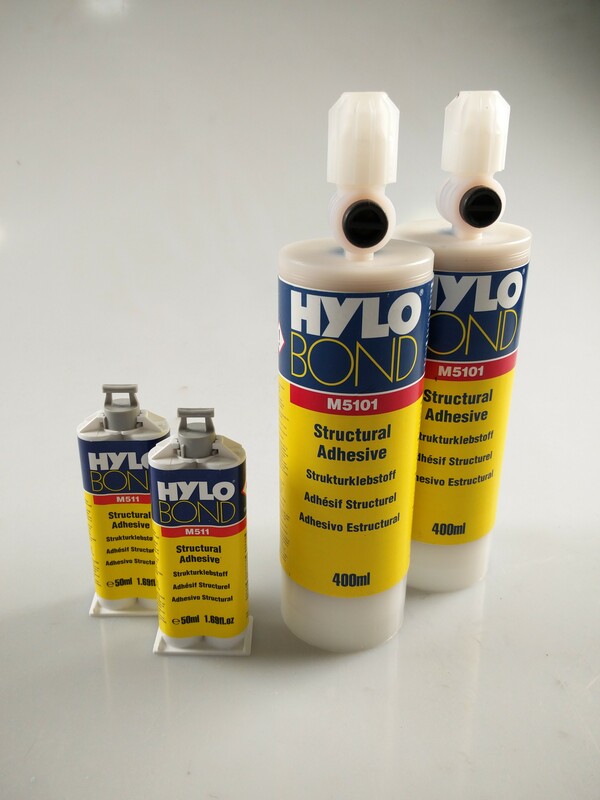 One of our long standing sponsors Hylomar have returned once again to provide the team with some high strength structural adhesives. They have worked with the team for a few years now and have provided the team with top quality products and advice throughout the projects. They offer a wide range of adhesives for many applications. We have made use of their structural adhesive range for composite to aluminium bonding within our aero package. Thanks once again Hylomar! Continuing the International Theme, we would like to welcome another new sponsor, Evonik, who are also from Germany! Evonik are one of the world’s leading speciality chemical companies and have been kind enough to provide the team with Rohacell core that will be used during the composite lay-up of our aero-package. The whole team would like to thank Evonik for their support, and we hope the relationship lasts for many years to come. Askubal - The Team Go International! As the build reaches peak momentum, our sponsors are supplying us with parts thick and fast. One of our new sponsors this year are the German company Askubal. After approaching us at Formula Student Germany the previous year, Askubal have proved to be a vital supplier this year, providing the team with Rods ends that will be used on our suspension and rear wing. Askubal are a huge company that provide top quality rod ends and bearings, and it is a big step for Liverpool University to get involved with some international sponsors. We look forward to returning to Formula Student Germany this year to prove our new suppliers that we have designed our best car yet! 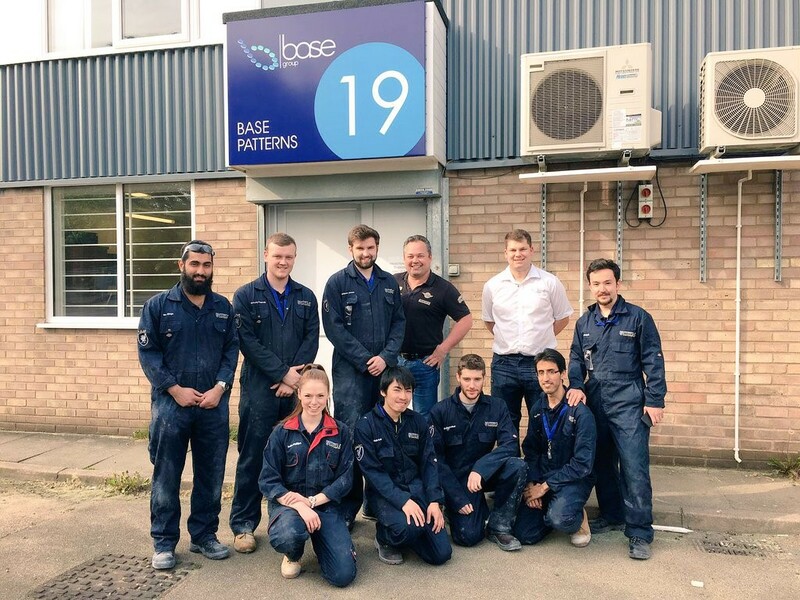 On Tuesday 17th May 2016, eight members of the University of Liverpool Motorsport team (ULM) visited Base Group’s pattern shop in Leicester to gain hands-on experience manufacturing the epoxy tooling board patterns for this year’s carbon fibre bodywork panels. This was the first time in the history of ULM that students had the opportunity to witness the entire process first hand and appreciate the scale of this operation. Upon arrival, the team were split into groups and assigned to one of the five manufacturing stations: Creating CAD Programs, Blocking Up, 5 Axis CNC Machining, Inspection and Hand Finishing. Throughout the day the groups rotated around each of the stations so that everyone could experience the entire manufacturing procedure and observe how the patterns move through each stage. Over the course of the day, the team learnt a great deal about how engineers work in the real world and the challenges of operating a business within the composites industry – something that cannot be taught within the confines of a university lecture theatre! Base Group’s staff balanced professionalism with a friendly and calm approach which immediately putting the team at ease from the moment we walked through the door. 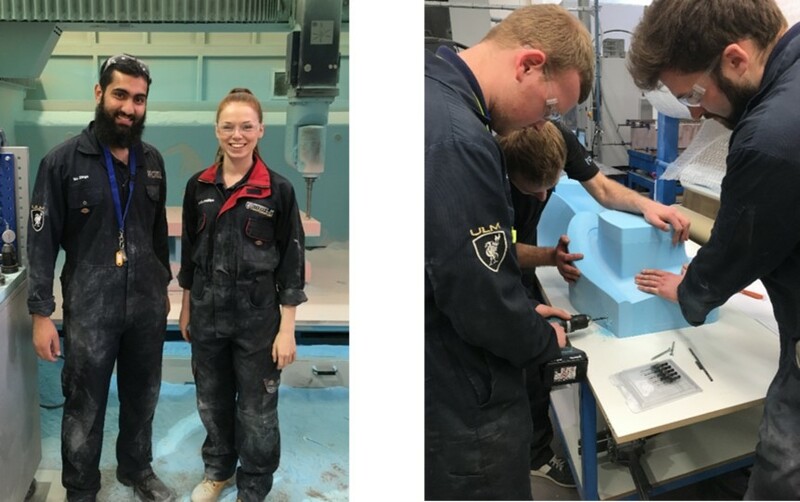 Everyone was keen to pass on their knowledge and expertise in order to improve and optimise the bodywork design of future ULM cars by reducing manufacturing time and complexity. Thank you once again to Base Group for organising this visit and providing such an invaluable experience to the team! Now it’s time to lay up the carbon fibre panels back in Liverpool and produce the best looking race car in the ULM series! This week the team has been fortunate enough to receive expertise and hands on experience of Physical Digitals’ optical metrology techniques! The GOM software used is based on photogrammetry and has allowed accurate coordinate measuring of the chassis for dimensional inspection. The team would like to thank Ben and the rest of the Physical Digital for their time and efforts and for being the continued support of the team. Each year the IMechE generously provide select teams with a Financial Award. This year ULM were successful in winning one of the five £3000 awards available to UK teams. 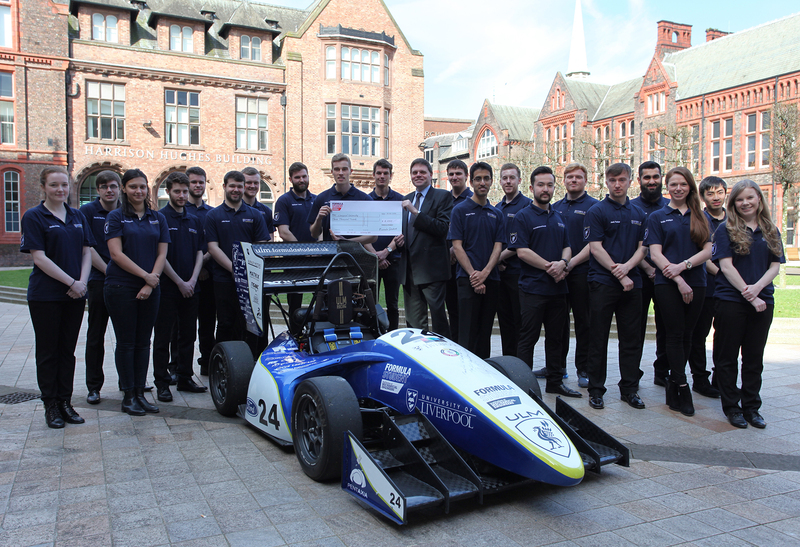 On Wednesday, Duncan Stock from the IMechE visited the University to present the cheque to the team. The financial backing has made visiting MIRA’s full scale wind tunnel and the construction of an engine test bed possible. 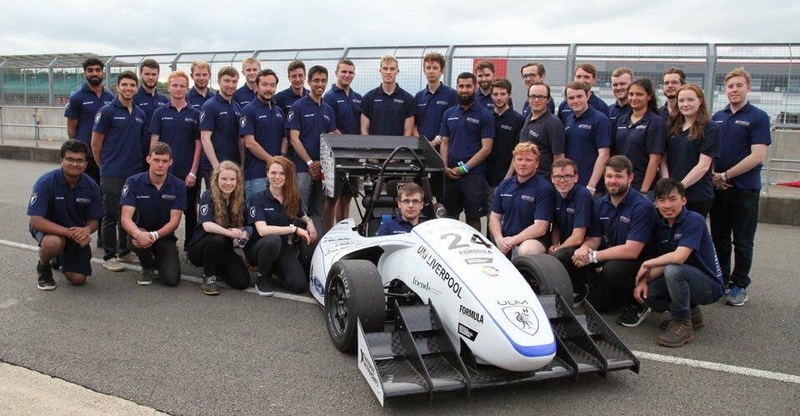 ULM are privileged to have the support of the IMechE and look forward to the upcoming season! 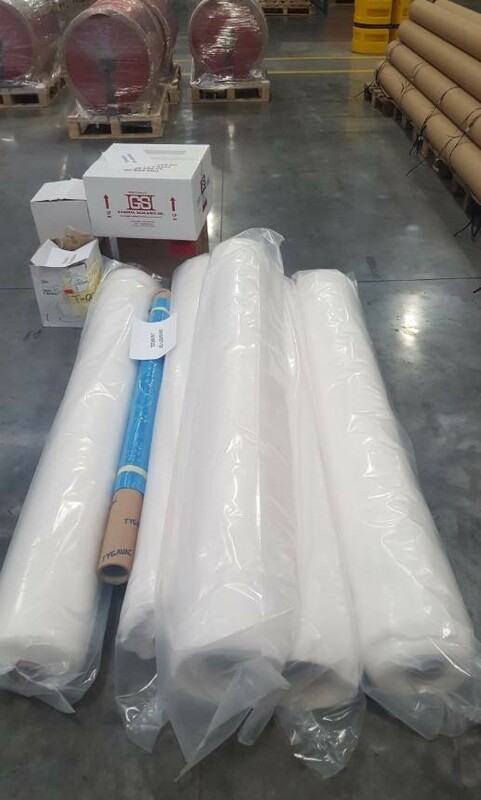 Tygavac are once again supporting ULM in their carbon fibre composite work by providing a range of vacuum bagging products required for our prepreg manufacturing process. On the 7th April 2016, team members travelled to Tygavac’s facility in Manchester and just about managed to fit the generous supply of materials into the two cars. Base Group Join The Team! Base Group are supporting ULM in their bid to win the 2016 Formula Student competition by supplying tooling and pattern materials. 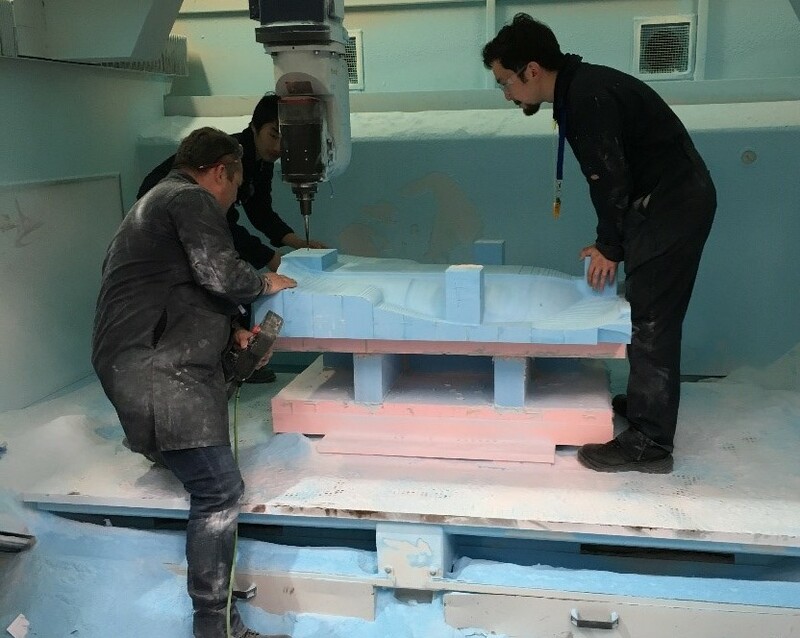 In addition, Base Group is working with the students to develop their knowledge and understanding of machining, by welcoming them into Base Patterns where they will work alongside skilled engineers to create their mould patterns. The team have received their ULM011 chassis for 2016! The chassis has been generously welded by MDA Motorsport for the 4th year running! 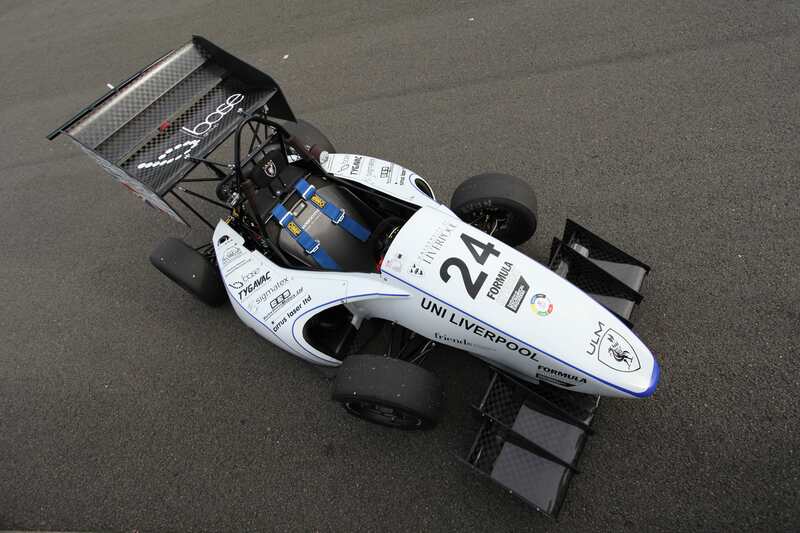 A fantastic job and a big thank you from University of Liverpool Motorsport for your efforts and continued support! The chassis will now be processed for engine fit and testing before assembly. The University of Liverpool Motorsport Team are delighted to announce a newly formed partnership with Barlow Street Motors of Walkden, Manchester, who will be painting the bodywork for ULM011 for the coming season. Barlow Street Motors are one of the most renowned vehicle body repair shops in the North West, and ULM are delighted to welcome them on board as one of our sponsors. If you'd like to find out mor ebaout Barlow Street Motors, click here. For the second year in a row, Sigmatex have provided the team with a generous donation of dry carbon fibre fabric, including two rolls of their beautiful spread tow weave to enhance the appearance of our wings and bodywork. Sigmatex are renowned for weaving some of the highest quality composite fabrics and their products are used in a range of industries from automotive, naval and even the space programme! We would like to extend our gratitude to Sigmatex once again for continuing their sponsorship of the team. If you’d like to find out more about Sigmatex and how they can assist with your composite requirement, click here. Marbocote have provided the team with multiple products to aid tooling preparation for our carbon fibre bodywork and wings. These include Marbocote's specialised tool cleaner, tool sealant and release agent to ensure a high quality surface for perfectly finished parts. Marbocote’s products are specially formulated for the composites industry and are well known to be some of the best on the market! We would like to extend our gratitude to Marbocote once again for their continued support and if you’d like to know more about them, click here. Recently ULM team members were invited to annual dinner hosted by the Institute of Engineering and Technoogy. The night at the Hilton, Liverpool, provided the team with an oppurtunity to socialise with some of the biggest engineering companies in the UK. The team would like to thank Jerry Hopkins for providing us with the invite to the dinner. Courtesy of the Tube and Bracket Company, ULM are proud to display the arrival of two bespoke storage racks to help store the team’s euro containers. These racking systems are a huge step forward for the team in organising assets and the pit area at competition. Again a huge thank you to the Tube and Bracket Company for supplying them! The Tube and Bracket Company design, build and install lean modular tube and bracket solutions that are used in a vast range of industrial, commercial and domestic applications. Their solutions spread across a wide range of industry sectors, including aerospace, automotive, distribution, electronic and postal. They also create solutions and equipment for outdoors events and products for the home and garden. Learn more about them here. For the first time in ULM history the team made the journey to Nuneaton to make use of MIRA’s aerodynamic wind tunnel facilities. This was a trip that was especially important for the team in order to achieve one of our goals for the year: data acquisition. More specifically it allowed the team to validate the use of the aero package on our car. The team were also able to use vapour stream lines to physically see the airflow around the car and understand more about the behaviour of the airflow. Aside from the students getting a once in a lifetime experience in a wind tunnel the team also managed to secure some important data about the aero package on the ULM010. It was discovered that the front and rear wings provided 200N of downforce, exactly what we need for those sharp turns at Silverstone! So wing manufacture will begin for the 2016 season! 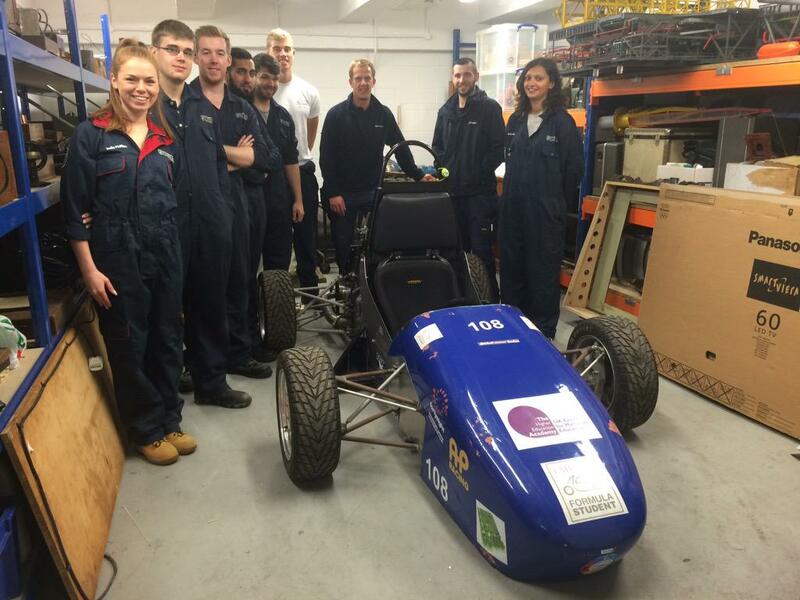 Generous support from the IMechE allowed the team to budget for this visit! 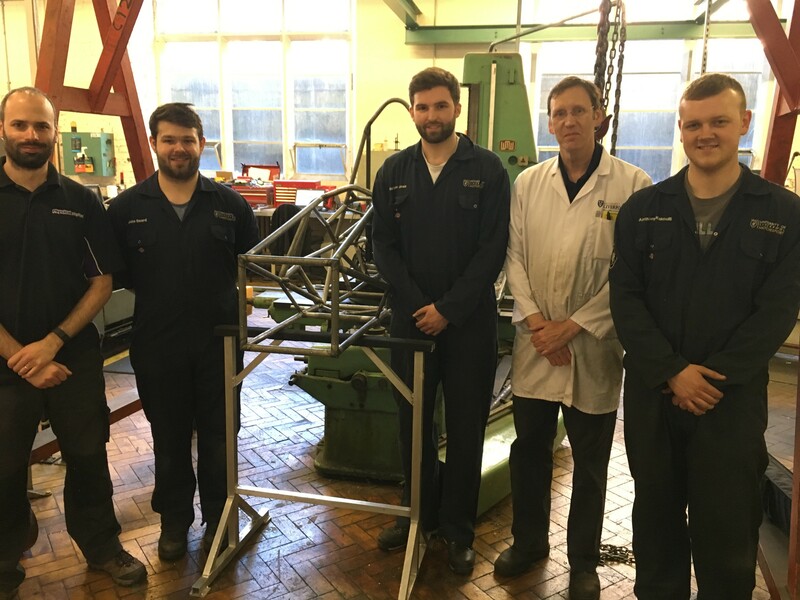 The team would like to thank One-Offs Ltd of Forth Street, Liverpool for fabricating the bent tubes that will be used for the main roll hoop, front roll hoop, harness brace and egress bars for ULM’s 2016 chassis. 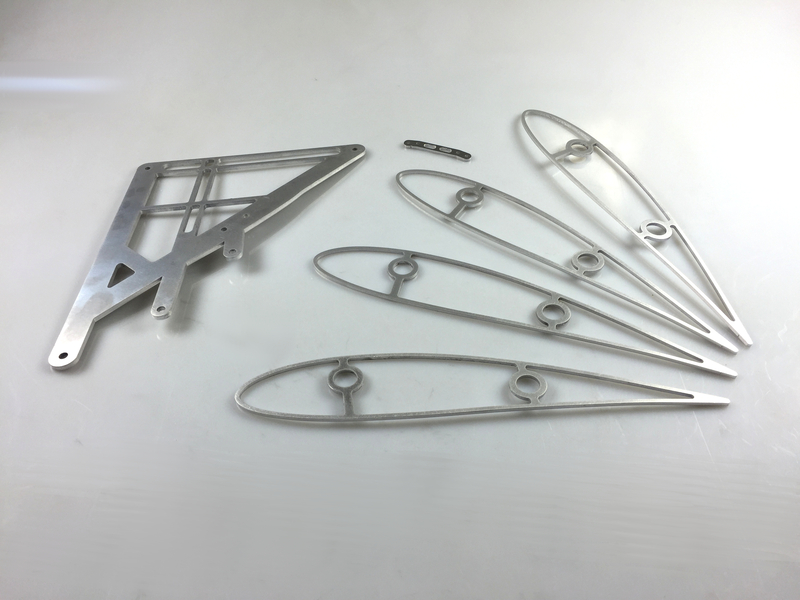 The first step towards the manufacture of ULM011 has been completed this week with the finishing of the jigs to be used during the welding of the chassis. The jig will be used to ensure the accurate fabrication of our steel space frame chassis during the welding process. Due to the limited resources and expertise in advanced welding available to the team, a cheap and manageable jigging method is used to aid in creating the welded structure. This utilises in house manufactured jigs from MDF sheets. The jigs are expendable and are removed post manufacture. The jigs are based on a planar jig system where the horizontal chassis members create fixed node positions for effective measurement to all over node positions around the chassis. This year, a dedicated main roll hoop jig has been created by Jake Beard, our chassis designer, to effectively hold the hoop in the correct location. In the coming weeks, for another year running, MDA Motorsport will be providing their time and racecar welding expertise to bring another ULM chassis to life. 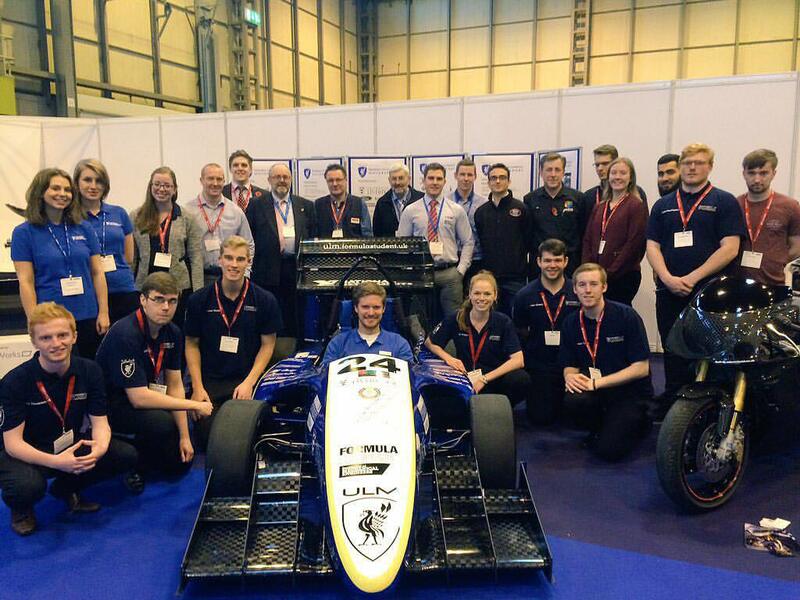 The University of Liverpool Formula Student Team made the journey down to the NEC in Birmingham on the 4th and 5th of November to attend their 3rd advanced engineering show in a row. With over 700 exhibitors, the diverse range of companies gave the team an insight into the latest engineering technology. The team displayed their car as part of a composite materials section within the show, which attracted a lot of attention from leading industry experts. The team members took the opportunity to have a chat to many of the companies, in the hope of attaining new sponsorship partnerships to boost this year’s project. The visit also provided an opportunity to catch up with some of the teams existing sponsors. These included: National Instruments, Pentaxia, Tygavac, Formaplex, Premier Autoclaves, SHD Composites, Physical Digital, Cirrus Lasers and Sigmatex. We were delighted with the response we got from our sponsors, who are all keen to get involved in next year’s project. The team would also like to thank the Advanced Composites show for allowing us to exhibit our car once again and we hope to visit again in future years. The show has proven to be invaluable to the team and provides a great experience for all our young engineers. 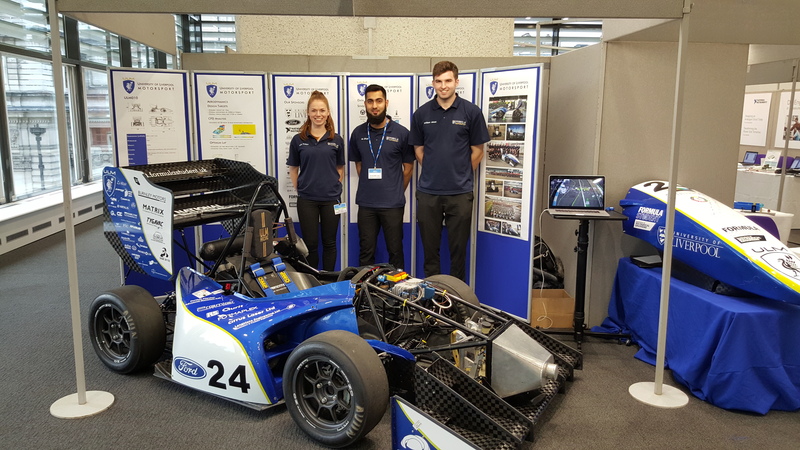 Several members of the team travelled to the QEII Centre in London this week to exhibit ULM010 at the NI Days conference hosted by one of the team’s major sponsors, National Instruments (NI). The event consisted of several keynotes on the latest NI technologies with people attending from companies around the country. The day allowed the team an excellent networking opportunity to meet several of these companies, as well as gathering knowledge about data acquisition technologies which the team is looking to develop over the coming year to help the design of future cars. The team would like to thank National Instruments for allowing ULM to present their car and for the overall fantastic experience the day offered to the team members involved! 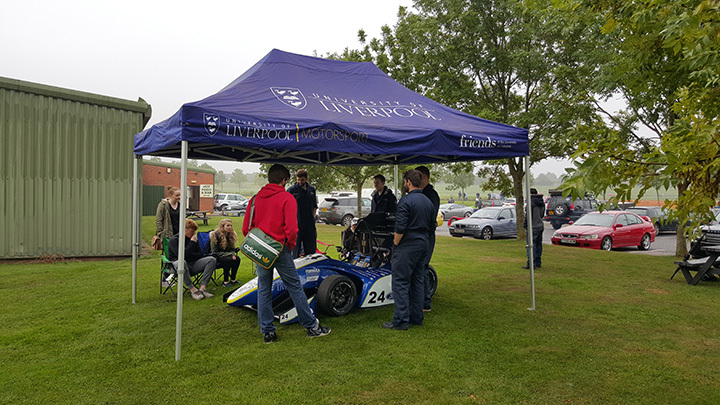 Following the traditions of previous teams, ULM attended the Aintree Track Day where ULM010 was presented as a static display courtesy of the Liverpool Motor Club. The day provided a great experience for potential Year 3 team members and allowed the team the opportunity to show the car to the motorsport enthusiasts in attendance. We would like to thank the Liverpool Motor Club for accommodating us once again! This summer saw the completion of the teams 10th car, and as Autumn approaches the team has retired the first ever car produced by the team. ULM001 will now rest in the university archives alongside other iconic items produced by the University of Liverpool School of Engineering. As the new academic year comes to a start and the 2014/15 race season comes to an end, the graduating senior team members pass on their responsibilities to the junior members and a new team is formed. The new team can be found on the team page!